Connecticut's Outdoor Living & Materials Solution for Over 50 Years! Elite Concrete Systems, a division of Asolare LLC, is here to provide you with custom solutions to all of your decorative concrete and epoxy flooring needs. Our range of services includes concrete polishing, decorative concrete finishes, surface restorations, epoxy flooring, metallic effect and seamless floors. We also create custom concrete bar tops, fireplaces, sinks, fire pits, tables, and other architectural elements utilizing the latest advances in concrete technology, including glass reinforcement and fiber optics. As a certified installer of Elite Crete Systems and Microguard we provide unique solutions for all of your decorative concrete and epoxy flooring needs. We can provide you with industry-leading products, top-notch customer service, and finished products that will rejuvenate existing concrete and tile surfaces. We can customize our products to provide a unique appearance that will last for many years. From exterior decorative concrete finishes and surface restoration to beautiful, unique, and affordable interior flooring alternatives, we have plenty of options to meet your needs. Legacy Brick and Stone is a Long Island based Landscape Contractor that offers Landscape Design, Hardscape's, and Masonry Services. Since 1997 we have been serving our community with high end workmanship at affordable prices and are constantly striving for excellence. Our experience and knowledge keep us in a position to offer our customers the most up to date and premier products in our industry. Legacy Brick and Stone is at the forefront of paving stone installation. We enjoy what we do, are constantly striving for excellence and warranty our work from the ground up. We believe that as people become aware of the superiority of a segmental pavement and that as we continue to require our customer’s overwhelming approval of our installations, Legacy Brick and Stone will continue to be a dynamic leader in an expanding industry. Three Generations of Masons Proudly Serving Nassau and Suffolk County for over 35 years. We are a Family Owned and Operated, Full Service Landscape Mason Contractors. We will guide you from the initial land clearing, excavating, grading and drainage through the complete installation of all of all hardscape, landscape and garden features, and manage all aspects of your project, we are a true design and build company. Call us for a free consultation. Whether it’s for a design by us, or you would like us to bid on a plan (design) that you may already have, we look forward to meeting and working with you. Delgado Stone is a premier manufacturer of natural stone veneer products. We sources our stone from New York, Pennsylvania, and New England to ensure only the best materials make it into our product line. We have built our brand and loyal customer base by focusing on 3 things: Quality, Customer Service, and Hard Work. We are quality custom mason contractors. Our Company is located in Stony Brook, Long Island New York. We offer a wide range of services to suit a variety of budgets and tastes. Our goal is not only to help you design and build your Dream Hardscape, but to make the project easy and enjoyable for you. We are the nationwide resource for reclaimed stone and brick, along with landscape stone and outdoor living solutions. We’re renowned for our breadth of distinctive products, and collaborative approach. Our seasoned, expert team of stone and brick specialists are passionate about providing architects, designers and homeowners with the unique materials they seek to create enviously beautiful living spaces. RMC/Romi Masonry Construction LLC specializes in all types of masonry construction. We are fully staffed, and able to handle any-size project. With over 10 years of experience, RMC offers a 100% satisfaction guaranteed. Our mission is to create long-term client relationship based on the achievement of client goals. It is our duty to satisfy our customer’s needs providing also a safe and welcome environment. Our philosophy is to work along side the general contractor, architect and owner as a team, creating extensive support in the timely completion of a quality project. Here at RMC we recognize and take seriously the need for superior craftsmanship. We would never compromise our attention to detail and outstanding results. 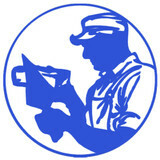 We offer a long-standing reputation, integrity, dependability and knowledge of masonry because WE DO CARE! We want you to have a complete idea of design, cost, and the time frame that your project will take. This is why we provide a free of charge estimate. Please call us today! We are the experts when it comes to residential & commercial landscape design and installation. Our reputation for quality work, responsiveness, and competitive pricing has been the primary factor in our success. We are committed to client satisfaction, serving the client from the developmental stages of a project to final completion. By early involvement in the conceptual phase of a project, we can explore all design possibilities with the client, to assist in obtaining the best balance of aesthetics and budget, covering all aspects for your project. Through ongoing education, training and cutting edge technology, we bring the latest innovations to your project. Pure Landscape Design, Inc. welcomes the opportunity to assist you with your particular project needs. Since 1981, we have been a family owned and operated business. We take pride in what we do, the quality of our products, and the friendly and personal services we offer. Better Stones and Masonry Supply serves contractors and homeowners with a diverse selection of quality masonry and landscape materials. As an established business, we realize the key to our success has been customer satisfaction. Situated on nearly 5 acres and conveniently located in the business section of East Hartford, CT, Better Stones and Masonry Supply offers a large selection of natural stone and brick; a complete line of fireplace materials; decorative gravels and aggregates; cements; drainage and landscape products; tools; and a vast array of specialty items to complete any masonry or landscape project. Specializing in nature stone products. JCI Construction Corp is a masonry contracting company and design build firm with over 25 years experience run by John Cabeca. He comes from a family of builders and built his business on unbend integrity. What it really means is that your satisfaction is guaranteed. We aren’t satisfied until our clients are fully satisfied. We’ve built our business on referrals, and that has only been possible because we treat each client’s job like we’re working on our own home. We are fully insured and licensed in New York and Connecticut. We own our own equipment rather than rent it, which means your job won’t be delayed for equipment that doesn’t arrive when it should. South shore masonry is a family owned masonry business located on Long island, N.Y. servicing Nassau and Suffolk counties. The owner has over 40 years experience in the business. His attention to detail and the knowledge of all types of masonry will ensure the highest quality craftsmanship on everyone of our jobs. With the owner and his two sons being directly involved on every job site our company can provide the customer with outstanding service working together to achieve their goals. Our team stresses ongoing communication with our clients during site planning as well as daily throughout the entirety of the project. As a result a high percentage of our business is from repeat customers and referrals. Along with the most competitive pricing, we offer financing and flexible payment options. Call us today to schedule a free estimate (516) 764-4815. Building the future & Restoring the past. Full service masonry and Hardscape company with over 20 years experience in helping homeowners create and realize their dream home. At Rizzo Masonry & Landscaping, we specialize in comprehensive services, including masonry construction, landscaping and snow removal needs. We are fully committed to providing superior craftsmanship with the highest level of service to our residential and commercial customers. 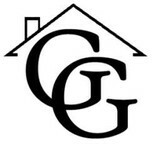 We have been servicing the Fairfield County area with over 30 years of trade experience. Due to our meticulous attention to detail, we have developed long standing relationships throughout the community. In conjunction with our expertise and vigilance, we aim to meet and exceed our customers' expectations. What services do stone, paver and concrete professionals provide? For the most part, people hire a stone or concrete contractor for large installations like driveways and walkways, or for home facades and exterior columns. These brick, pavers or stonework installations can add lots of functionality and visual curb appeal to your Connecticut home. Pavers come in a wide variety of colors, shapes and sizes, and the right vendor or specialist can help you choose a color and design that complements your existing landscaping. From installing new exterior columns to repairing your chimney, masonry contractors can help you add both visual appeal and value to your property. They’ll know what kind of installation makes the most sense for your Stratford, CT climate and regional style. Looking for something that will develop a patina with time? Or would you rather have your home feel brand new for years to come? Choosing the right kind of stone involves thinking about the future, too. Experienced brick suppliers and stone suppliers can help you find the material that will work for your home now and for years to come. These professionals aren’t limited to exterior work either. Whether you want a split-stone granite wall in the kitchen or need help installing traditional brick masonry on your fireplace facade, you’ll want a professional to get it right. If you’re already working with an architect or designer, he or she may be able to suggest a good Stratford, CT subcontractor to help out. Here are some related professionals and vendors to complement the work of stone, pavers & concrete: Landscape Architects & Landscape Designers, Architects & Building Designers, Garden & Landscape Supplies, Driveways & Paving, Siding & Exteriors. Find stone, paver and concrete professionals on Houzz. 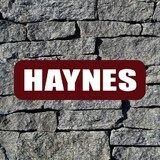 Search the Houzz Professionals section for Stratford, CT stone, paver and concrete professionals. Browse photos and read reviews, and contact a pro if you like their work.